Does New Jersey have state overtime laws that are different from federal law? Like federal law, New Jersey labor law counts as overtime any hours worked beyond forty in a given week and requires that overtime hours be paid at a rate of one and one-half the employee’s regular hourly wage. Does New Jersey have a minimum wage that is different from federal law? New Jersey minimum wage is $8.60 per hour, which is higher than the federal minimum wage of $7.25. New Jersey has also established a commission to evaluate the adequacy of the minimum wage each year and recommend changes. Employers can use tips and gratuities to reduce the minimum wage required to $2.13 per hour. However, the fair value of any food or lodging provided by an employer is not included in the definition of wages. Furthermore, if you pay for a uniform in cash and that payment brings your weekly wages below the minimum wage level, your employer must make up the difference to bring you back up to minimum wage for that week. For more information on wages in New Jersey, visit http://lwd.dol.state.nj.us/labor/wagehour/lawregs/wage_and_hour_laws.html. Does New Jersey have meal and rest break requirements, unlike federal law? No, New Jersey law does not require an employer to provide employees with paid or unpaid meal periods or breaks. Does New Jersey have other labor standards laws that are different from federal law? Normally for an employer in New Jersey to be able to deduct wages for any allowable reason (e.g. retirement accounts, medical care, cleaning of uniforms), the employer must obtain the employee’s written approval. New Jersey’s Department of Labor (NJ DOL) may impose administrative penalties for violations of the wage and hour laws. The maximum penalty for a first violation is $250, and for any subsequent violation the maximum is $500. Willful violation of the wage and hour laws can lead, for a first offense, to a fine of between $100 and $1000 and/or between 10 and 90 days in prison. For subsequent violations, the penalty is a fine of between $500 and $1000 and/or between 10 and 100 days in prison. How do I file a wage/hour or labor standards claim in New Jersey? If your employer owes you wages, you can file a complaint with New Jersey’s Department of Labor (NJ DOL) under the Wage Payment Law or the Wage and Hour Law; this can be done by filling out Wage Complaint Form MW-31A (the form can be found at http://lwd.dol.state.nj.us/labor/forms_pdfs/lsse/mw-31a.pdf. NJ DOL will then issue a summons to your employer, who will have to appear at a hearing within five to fifteen days. If the amount claimed is less than $10,000, or you are willing to accept a maximum award of $10,000 and forfeit anything above that amount, NJ DOL can issue a decision and an award. If you have a wage/hour claim, do not delay in contacting NJ DOL to file a claim, or in contacting a lawyer if you wish to bring a claim in New Jersey Superior Court. In order for NJ DOL to act on your behalf, you must file a claim within two years of the alleged violation. As you might have other legal claims with shorter deadlines, do not wait to file your claim until your time limit is close to expiring. You may wish to consult with an attorney prior to filing your claim, if possible. Yet if you are unable to find an attorney who will assist you, it is not necessary to have an attorney to file your claim with NJ DOL.  How can I or my attorney pursue a claim in court in New Jersey? If your employer owes you wages, you can file a claim in New Jersey Superior Court no matter how much money you are owed. In addition to wages due, the court can award you costs and reasonable attorney’s fees. You can file a claim both with NJ DOL and in New Jersey Superior Court, but if you do so NJ DOL will not act on the claim until the court has resolved it. You must file your claim in New Jersey Superior Court within two years of the date on which you believe you were owed wages by your employer. For information on how to represent yourself (i.e. without an attorney) in New Jersey state courts, see http://www.judiciary.state.nj.us/prose/index.htm.